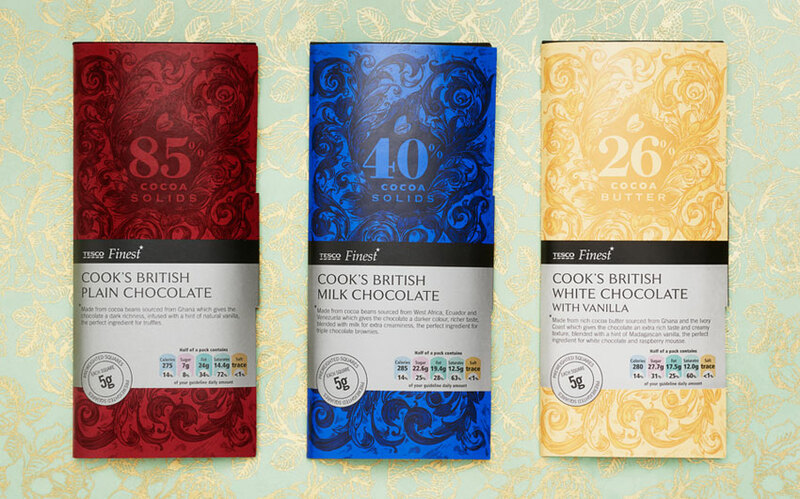 Rich, heritage colours and an illustrative wood block style pattern conveys the passion behind cooking for Tesco Finest Cook’s Chocolate packaging. Good cooks are fanatical about good ingredients. Especially chocolate. Working with design consultants P&W, Amanda was asked to create a distinctive design for the Tesco Finest Cook’s Chocolate range that conveyed the craft and passion around the cooking experience. 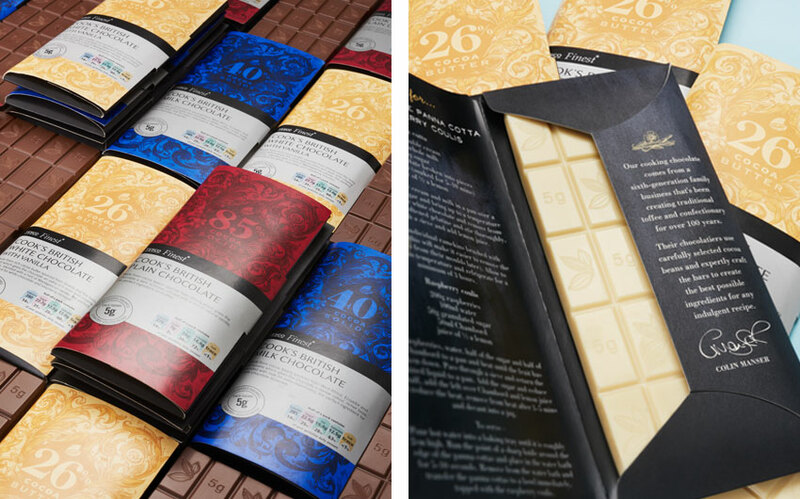 Rich, heritage colours were used to denote plain, milk and white chocolate, complete with an illustrative wood block style pattern that evokes the cooking ritual of melting and stirring chocolate. Emphasis was given to the percentage of cocoa in each bar and also the 5g pre-weighted chocolate squares to make measuring easier. The result is a visually arresting pack design with a handcrafted quality.